The Nighthawk X10 supports Plex Media Server with transcoding for ultra-smooth 4K streaming, even to remote devices. It is also the industry’s first router to run Plex Media Server without the need for a computer. The latest MU-MIMO technology supports simultaneous streaming, while 160MHz doubles WiFi speeds to mobile devices. From locally connected storage, Plex organizes your movies, TV shows, music, video, and photo collections, making it easy to find and enjoy the content you love. Smoothly stream anywhere you go, on virtually any device—phones, tablets, streaming devices, gaming consoles, and smart TVs all support Plex apps. With the purchase of a Nighthawk X10, you can enjoy these premium features with a free three-month Plex Pass. 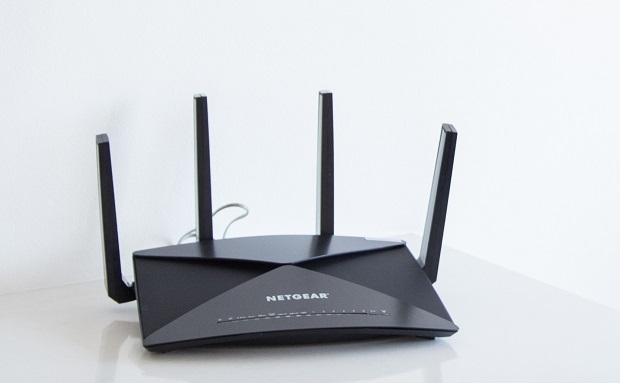 The NETGEAR Nighthawk X10 is also the industry’s first router designed for the home that includes a 10Gigabit port, which supports a fiber connection. With fiber connection your data travel at the speed of light; so backing up files and streaming movies from a Network Attached Storage devices – such as NETGEAR ReadyNAS will be much faster. The Nighthawk X10 is the ideal solution for personal HD video collections, it has two USB 3.0 ports which make it easy to add storage for backup and file transfer over WiFi. Additional storage options with the Nighthawk X10 includes six months of free unlimited Amazon Drive backup for an off-site cloud copy of your files. NETGEAR genie app for a personal dashboard to monitor, control and repair your home network, even when you’re away from home.